Most kids ran faster than me. They were better at soccer, basketball, volleyball and cricket, which were the sports that mattered in my boarding school in India. I realized that I was never going to win the battle based on talent or raw skill. Work harder. Show up when no one else does. Never give up. One time I was the only kid who showed up for soccer practice. Everyone else took the day off because of torrential rain. Most kids goofed off in warmups. I did extra warmups. At the end of the day, when many others cheated in counting their laps … I did extra ones. Today, it’s harder than ever to make money in the markets. Computers, algorithms and artificial intelligence know nearly every technique in history to make money. That means you have to think outside the box … and work a bit harder if you want to make money. Today, I’m going to show you an incredible bull market you’ve never heard of that can make you big money this year. It’s the market for sneakers. Yes, sneakers. Google “Air Jordans” and you’ll see a good example of what I mean. What you’ll find is thousands of websites like SoleCollector.com that are dedicated to tracking shoes, including those that are put out under the Air Jordan brand. And people are making big money from buying and selling these sneakers. 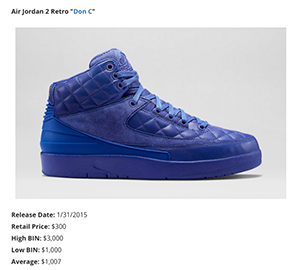 For example, you could have made 900% on a pair of Air Jordan 2 Retro “Don C” shoes. Or 426% on a pair of Air Jordan 10 Retro “Double Nickel” shoes. Sneakers are a new category of collectibles that’s come about in the last 20 years. And prices are skyrocketing for the most collectible ones, like LeBrons. 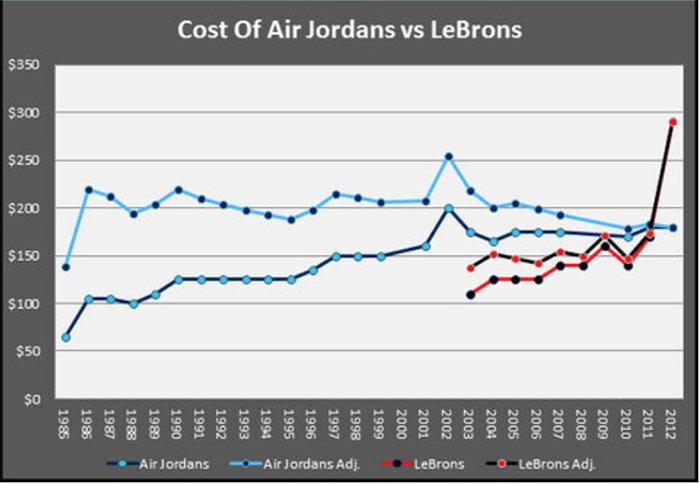 No wonder then the business of the companies that make sneakers have been soaring for years now. The three main companies in the sneaker business are Nike, Adidas and Puma. These are big, global brands that are doing great business, and their stocks are soaring higher too. Kering (OTC: PPRUY), which is the company that owns Puma, is up 134%, while Adidas AG (OTC: ADDYY) is up 185% and Nike Inc. (NYSE: NKE) is up 71%. These returns are crushing the S&P 500, which is up just 40% in the same time period. Now, the reason why sneakers are so hot is because of something I’ve told you about before — the coming of age of the millennial generation. You see, it’s their buying that’s bidding up the price of Air Jordans and LeBrons … and in turn, it’s that same buying that’s making sneaker company business sales jump, and their stocks rocket higher. I believe that the sneaker market is going to keep running higher as millennials gorge on their sneaker collections. And that in turn is going to keep revving the stocks of most sneaker companies higher. « Previous The Next Big Bust: When? Why? How Big?